As the premier Denver shutter company and choice for window treatment services, one of the first things that we try to find out is what your goals are. It's about more than just appearance because, obviously, every homeowner wants window coverings that look attractive. What is more important is getting to the bottom of what it is that you ultimately want to accomplish. For some homeowners, privacy is the most important factor while, for others, the ability to have natural light filtering in is the top priority. As industry experts, we can then offer suggestions for which types of treatments might work best for you. Narrowing down looks that you like from among that group then becomes a lot easier. This is a vital approach to take, in order to arrive at the results that you want. Too often, homeowners make a choice based on looks over anything else. One thing is for certain, this is a surefire way to end up replacing your window dressings in a year or less. Let our team of experienced professionals here at Sweet Shutters and Shades guide you through the many available options of window coverings in Denver, NC and ensure you get the perfect products for your home. 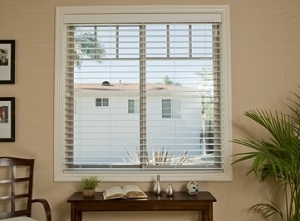 There is no other window covering choice that offers the versatility in light and privacy control that shutters do. This system, comprised of slats and louvers, is what offers the unique and more extensive ability to customize light intake and privacy capabilities. One thing most homeowners forget is that your window treatments are visible from both the inside and outside of your home. The choices that you make will impact both the interior design aesthetics and the exterior curb appeal. This makes it twice as important to choose carefully. 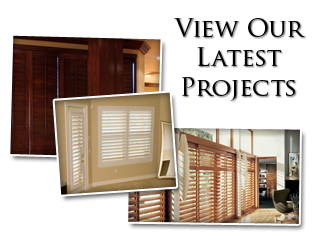 Quality shutters in Denver, NC are ideal for additional insulating reasons. This is the ideal way to offer extra thermal and sound insulating capabilities. This helps make your home more energy efficient, as well as just all around more enjoyable. This is also a smart investment to make because it helps increase the property value of your home. The better quality the treatment and installation, the higher the value this adds to your home. You also have the option of something fun like window blinds in Denver, NC. They can be functional, decorative or a combination of both. It is all about creating a plan to meet your needs, that also looks stunning, so you are satisfied with the results. No matter what style of window covering you decide on, let Sweet Shutters and Shades get you the results that you want and should be able to expect from an expert window blind company in Denver, NC. 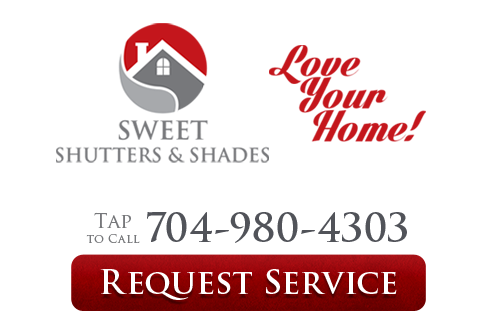 If you are looking for an experienced Denver shutters or window blinds professional then please call 704-980-4303 or complete our online request form.